A fantastic gift for adults and children alike, these personalised pencils will raise a smile each time you need to write something down. The wooden pencils come in packs of 10 and will feature a phrase chosen by you, whether it's something from your own creative mind, a famous quote by an artist you admire or a thank you to a teacher. Using engraving and not stuck on vinyl ensures your personalised message will last as long as the pencil. 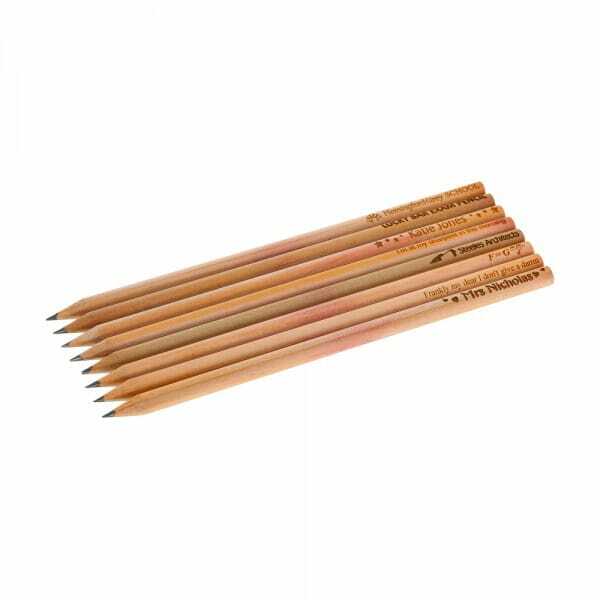 Customer evaluation for "Wooden Pencils - pack of 10"